Description: the third factory fresh Boeing 747 freighter for TNT Airways arrived at Liège on July 31 2007. 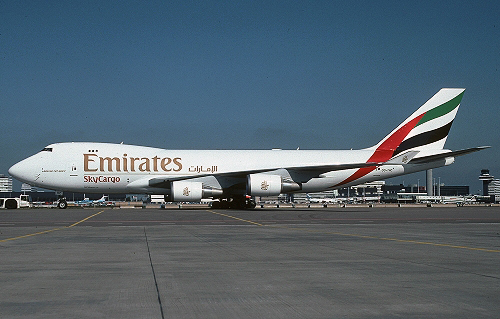 It wears the full Emirates livery as part of a ten tear lease. On June 14 2017, it performed its final commercial flight and was cancelled to the States on August 10.